As much as we love our filter kaapi, many of us walk the sultry streets of Chennai with a to-go cup of tea in our hands. Oolong, Chamomile, Passion fruit, Masala... what’s your poison? The fruity flavour of this tea quickly distinguishes it from other herbal teas. A combination of strawberries, tangy currants and brisk green tea, this one's for those of you who like a fruity zing to your cuppa. Don’t let the generic name turn you off. 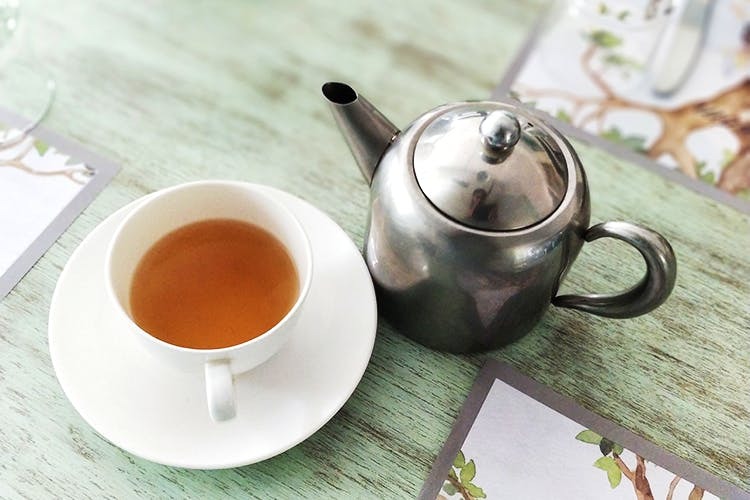 Brewed using ‘pure whole flowers from the foothills of the Himalayas’, this tea is served in a large ceramic cup and the floral fragrance of Chamomile is intoxicating. After a long day, all you need is a little bit of Chamomile. We love! For anyone that’s up for a chai break, this flask full of fresh, hot tea is perfect. The tea infused with ginger is the best pick-me-up on a rainy day. Combine this chai with a couple of egg puffs for a delicious evening snack. We admit, we might be addicted to this combo! A refreshing type of White tea combining pink rose and mango, the ivory appearance of this tea delivers tons more than it promises. A light floral blend with velvety texture, one can taste the summer season from the mango flavour. A touch of cardamom with this tea will blow your mind. Oolong, black, green, white, what’s new, you ask? Check out this flavoured tea, a result of combining the regular flavours out tongue recognises only too well. The black tea forms the bed of clouds on which a misty blend of apple, honey, and cinnamon mix to create a buttery flavour. A really unique flavour, try it if you love experimenting. A dash of ginger to your tea? This teapot keeps it simple and authentic with fresh tea leaves picked from the Nilgiris Tea Estate. The rich, yet delicate blend of milk, cardamom and ginger will take you back to the hills. It all started with just two leaves and a bud. The colour of the tea is a combination of jade green and pearl white, and smells like a meadow of mallipoo. Made with green tea as the base, this drink goes perfectly with their finger sandwiches ( we really love the club sandwich with a side of hash brown).